P4 Pre-game Formula is a potent pre workout supplement that’s designed to provide athletes of all levels an edge in their performance; supporting endurance, strength, and stamina. Add one scoop (8 g) to 8 oz. of water prior to your workout or game for the best pre workout supplement to fuel your performance. You should not consume more than 200mg of caffeine every 4 hours. Nourish your body and fuel your workout with our pre-workout supplements! Reduce exhaustion, both mentally and physically, and power through your workout when you add pre-game by P4 to your workout. With a clean formula that is packed with pure ingredients and NSF Certified for Sport®, our pre-workout formula supports your body and its most complex processes, all while promoting mental focus to help you power through your workout and build strength. What is in Pre-Game Formula? Why: Studies show that CarnoSyn® — a patented form of beta-alanine — can help develop more strength, power, and endurance while delaying fatigue and expediting recovery from intense exercise. Why: Naturally found in meat and fish, creatine is an amino acid that has been shown to increase strength, muscle growth, and athletic performance during high-intensity activities. Why: This semi-essential amino acid promotes protein synthesis and muscle growth. Studies also show that arginine can boost the immune system and serve as a wound healing agent. Why: Tyrosine can improve alertness and memory, promote cognitive and physical performance, and increase energy levels, according to studies. 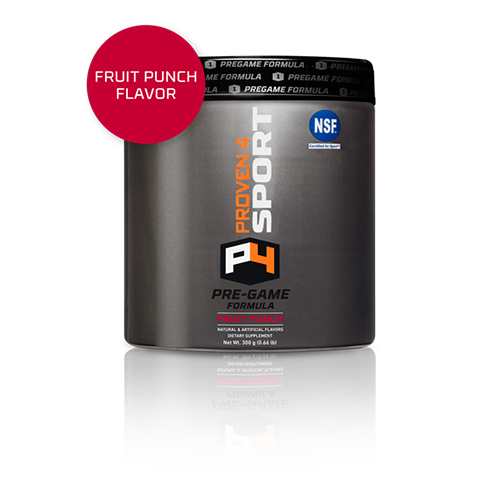 Combine 1 scoop (7.6g) of Pre Game Formula with 8 oz. of water in a shaker bottle. 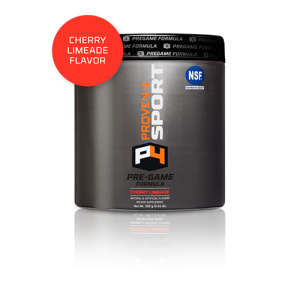 Shake it up and consume Pre Game Formula immediately before your game or workout. Proceed to dominate your competition with fierce aggression and intense energy levels.